This morning I woke up super duper early thanks to a three-hour time change and nine hours of sleep (the longest in one stretch that I’ve had in months). I spent the morning enjoying the breeze from the lanai and reading (and even commenting on) blogs. 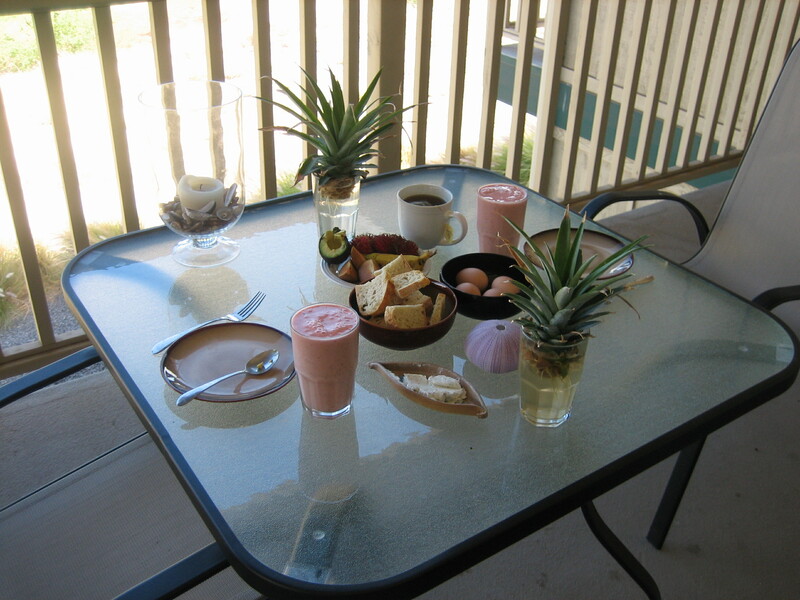 When D woke up, we made breakfast of boiled eggs, toast, avocado, herbed chevre and smoothies (local apple-bananas, strawberries, and papaya). It was delicious. We took a nice long walk around Waikoloa Village and then hung out until R came home. We made yummy sandwiches and salad for lunch before heading off to the beach for the afternoon–with a quick stop at a grocery store where I found pineapple soda that was too exciting to pass up but too sweet and artificial to drink. Question: How can something contain pineapple juice concentrate and yet contain no juice? 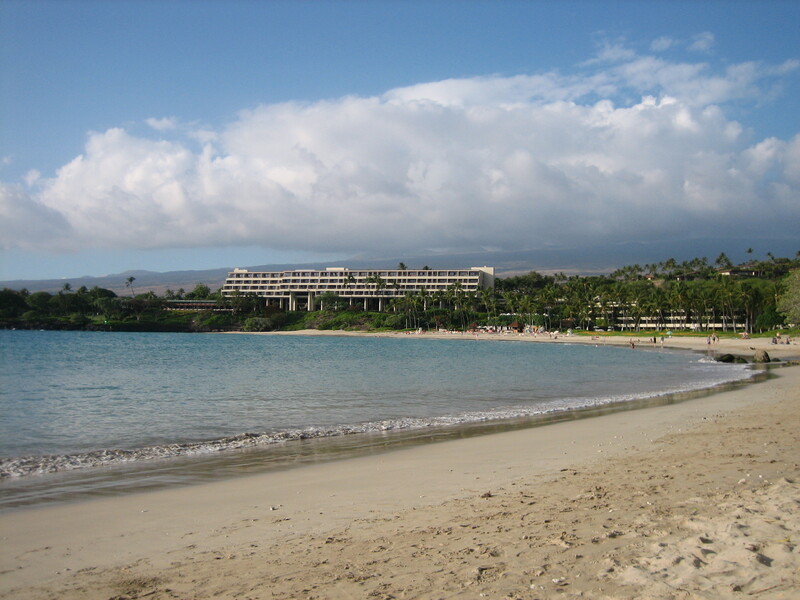 The beach we went to was located at the Mauna Kea Resort. 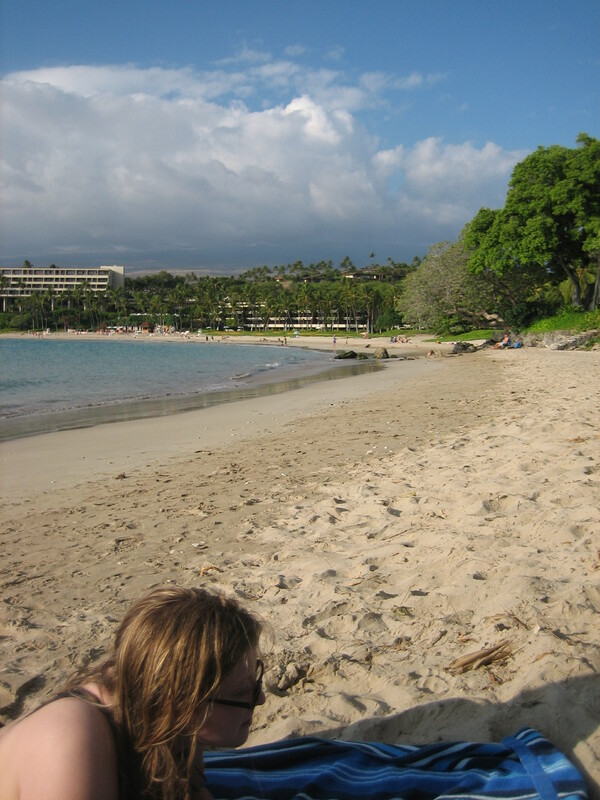 Beaches such as this one are public access, but limited to the parking assigned by the resort. When we arrived they still had space and it was a short walk down to a lovely, and not-too crowded beach. 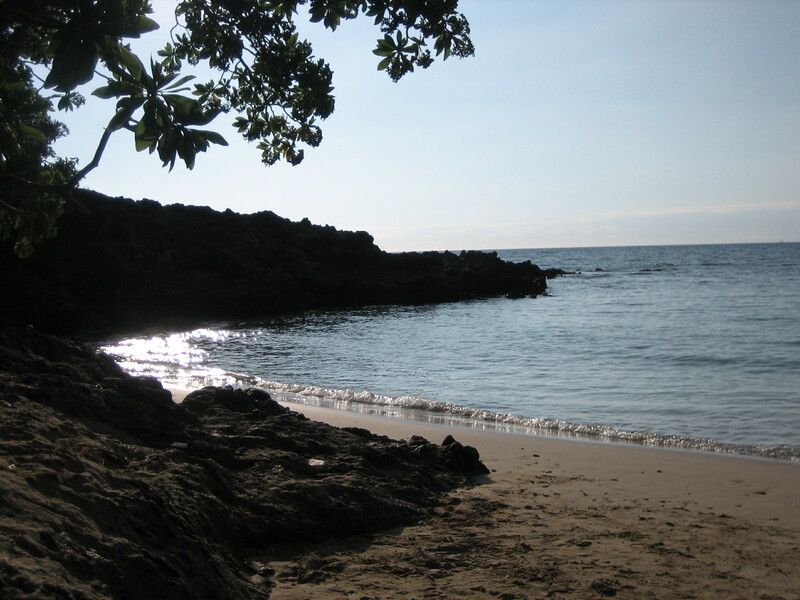 The afternoon consisted of swimming and snorkeling, resting and walking down the beach, before heading back to Waikoloa Village. In the evening we walked to the local store to get some fresh fish and veggies. 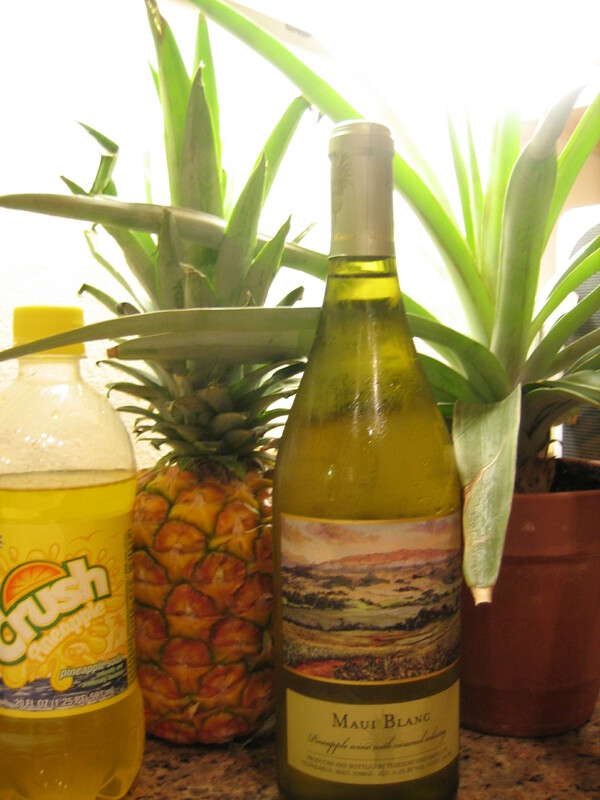 We also picked up a bottle of pineapple wine and a pineapple. D made a lovely dinner that we ate on the lanai watching the little nocturnal geckos and the moon speed across the sky. I love Hawaii so much I am drooling while looking at your pictures.